93 Value For Money Better Options? No Cost EMI on Bajaj Finserv.No Cost EMI on Bajaj Finserv. 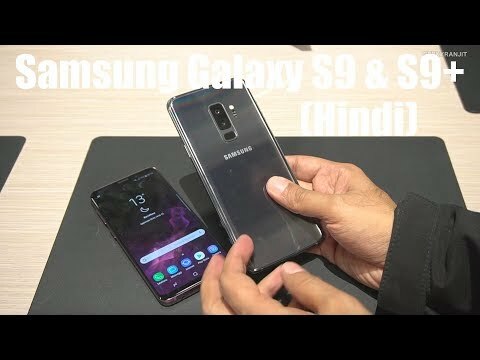 The Galaxy S9+ is one of the best smartphone available. I got this for a good deal. a great exchange offer+ bank offer. I didn&apos;t had to think twice. Even though I&apos;m not a big fan of Samsung&apos;s UI, the hardware in the phone is amazing. Especially the camera. I&apos;m not directly comparing this with any other phones, on a day to day life we won&apos;t do that. This smartphone is definitely a good choice for anyone. The display feels great and mesmerizes you with WQHD display, the camera is top notch and a treat to click pictures. The device isn’t sloppy at all. Samsung’s elegant looking glass and metal smartphone design gives the premium feel which at this price point is a must. For heavy users, the phone doesn’t heat at all even during high-end gaming. It’s the combinations of futuristic looking curved edges, vibrant colors and high contrast ratio. The Galaxy S9+ is an excellent phone, the screen is one of the most refined, the design is pretty good and stylish, overall an outstanding phone with a magnificent camera. Iris scanner works perfectly fine in the sunlight as well as in low light. There are very little bezels and no notch whatsoever which makes it feel like you have one large, beautiful light beam in your hand. The Galaxy S9+ is an awesome phone with great camera, mind-blowing display, and really smooth phone. The design looks astonishing and the price range is good. You won’t find it bigger at all and there is no better Android phone than this one here. The display is so awesome that I can watch a 2-hour film on this phone comfortably. Dual cameras are a great addition since it&apos;s a must-have nowadays. The look & curves of the phone are truly adorable & 12 + 12 MP dual camera adds cheery to the cake, shoots photos with crisp clarity even in darkness & Face, iris & fingerprint scanner are simply exquisite. Overall, an amazing purchase and I would totally recommend this phone to someone. Speakers are loud and have good sound quality. Face Recognition is slow and if you are using intelligent scan (face + iris recognition) even slower. AR Emojis are not as good as advertised. 38 Pricebaba users have written their experience with Samsung Galaxy S9 Plus. If you own Samsung Galaxy S9 Plus, please do leave your feedback too. Forget the millennial-talk, Samsung’s Galaxy M series is massively mainstream! Lowest price of Samsung Galaxy S9 Plus price in India starts at Rs. 53,900 Samsung Galaxy S9 Plus is available on Flipkart at Rs. 64,900 and on Amazon at Rs. 57,900. Prices updated on 23rd April 2019. The Samsung Galaxy S9+ flaunts a 6.2-inch Quad HD+ infinity display with minimum bezels on both ends. It has a resolution of 2960 x 1440 pixels. The super AMOLED panel delivers vivid colors and a crisp viewing experience. The Galaxy S9+ is quite identical to last year’s S8 in terms of design. The only difference is the fingerprint scanner position which has been moved below the camera sensor. The phone sports a glass and metal build. It features a USB Type-C port at the bottom. It is IP68 rated water and dust resistant. The Galaxy S9+ ships in three attractive color variants i.e. Midnight Black, Coral Blue and Lilac Purple. Samsung boasted about the cameras to be a major highlight of this smartphone. On the flip side, the S9+ has a dual camera setup comprising of two 12MP sensors accompanied by an LED flash. One is a wide angle lens and the other is a telephoto lens. The camera features OIS and PDAF system for clicking better pictures. For clicking selfies, there is a 8MP front snapper. The rear camera is capable of recording 4K videos. The Galaxy S9+ houses a 2.7GHz Samsung’s own Exynos 9810 octa-core processor. For smooth and lag-free performance, the device packs 6GB RAM along with Mali-G72 graphics processor onboard. It offers 64GB in-built internal storage which can be expanded up to 400GB via microSD card slot. The S9+ runs on the latest Android 8.0 Oreo OS out of the box. The Galaxy S9+ draws its power from a 3500 mAh non-removable battery. It supports both wireless and fast charging feature. The device functions as a dual SIM smartphone and a nano SIM card is compatible. Connectivity options on the S9+ include 4G LTE, 3G, 2G, WiFi, Bluetooth, NFC and VoLTE. 1.How is the camera performance of the phone? Ans: The S9+ has a dual rear camera of 12MP with excellent imaging capabilities. 2. How is the gaming performance of this phone? Ans: The phone has good specifications which is idle for moderate to heavy gaming. 3. What comes inside the box? earphone, SIM ejector tool, and a user manual. 4. What type of SIM card will I need? Ans: For networking, you will need a Nano SIM card.